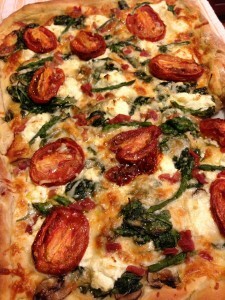 Rustic Roasted Tomato and Asparagus Pizza. Some of my favorite dishes have been improvised based upon current ingredients found in my pantry and refrigerator. 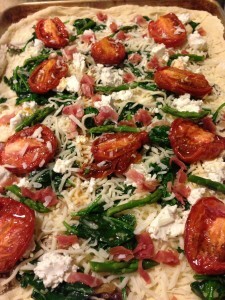 My outstanding Rustic Roasted Tomato and Asparagus Pizza is a prime example! I’d purchased some gorgeous fresh tiny asparagus spears a few days prior for my baked lemon sole stuffed with vegetables and goat cheese recipe. Unfortunately, I could not find any fresh lemon sole locally. So what to do with the lovely asparagus? I’d also made some rich roasted tomatoes that were waiting in the fridge. Fresh spinach, cremini mushrooms, shallots, and garlic added some depth to my ingredient list. A pizza sounded more exciting than just mixing the veggies with some cooked pasta. A few slices of prosciutto and a little less than half a log of goat cheese were left over from a previous dinner. Some parmesan and shredded mozzarella would complete the toppings for the pizza. 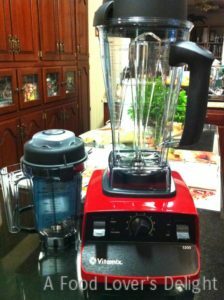 I have a Vitamix machine that is fantastic for making a light crispy pizza dough — and a myriad of other foods. Of course, you can use store-bought pizza dough, a Boboli crust, a flatbread, or make your own. One of my favorite quick meals is to purchase a pre-made flatbread. Add sauteed mushrooms and shallots, some garlic, a bit of shredded cheese, and some chopped parsley. 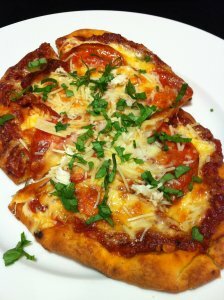 Bake the flatbread and in a few minutes you have a great main course to serve with a salad or soup. 2. Blanch asparagus tips for 2 – 5 minutes in boiling water until bright green, then plunge in bowl of ice water. Set aside. 3. Warm olive oil in a skillet. Add shallots and cook until translucent. Then add garlic and mushrooms and cook a few minutes until mushrooms are a bit soft. 4. Add fresh spinach and then put a lid on the skillet and remove from heat. Let sit 3 minutes. 5. Stir the mushroom and spinach mixture until the spinach wilts. 6. Sprinkle the shredded mozzarella and grated parmesan on the pizza dough/crust. Add dabs of goat cheese. 7. Spoon the mushroom, shallot, garlic, spinach mixture onto the cheeses, spreading out the mixture as evenly across the dough/crust as possible. 8. Arrange the roasted pear tomato halves and asparagus spears decoratively on top of the pizza. 9. Sprinkle the proscuitto evenly over the pizza. 10. 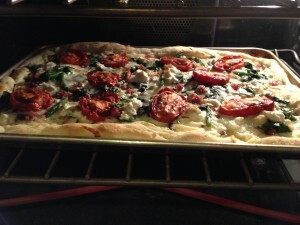 Bake the pizza on a lower oven shelf for 10 – 14 minutes or until the middle of the pizza is bubbling and it looks done. Take care not to burn the bottom of the crust. 11. Remove the pizza from the oven and let cool on the pan for a minute or two. 12. Move pizza to a cutting board and cut into pieces. Serves 8 as a main course. Offer a tossed green salad with my Tarragon Balsamic Dressing. 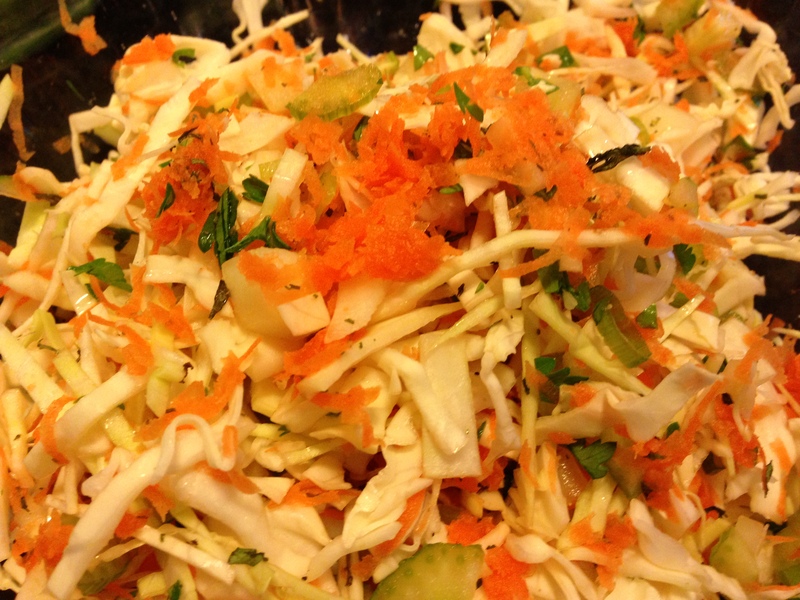 Variations: This is a pretty light recipe with lots of veggies. You can use fat-free cheeses if you prefer. Add roasted red peppers for another flavor boost. Crumbles of crispy bacon can stand in for prosciutto. Of course, you can omit the prosciutto or bacon, and even the cheese if you prefer. If you roasted the tomatoes with some garlic cloves, add the garlic cloves as a pizza topping. Note: Using puff pastry instead of pizza dough and making this recipe into smaller individual “tarts” would be an option for an elegant main course at a dinner party.